What do I do if my dog has Hip Dysplasia? Some dogs with Hip Dysplasia don’t seem to be lame…what makes one dog lame and another not? My puppy is from a Sire and Dam with higher than average Hip Scores… Is there anything I can do? My dog or puppy is lame as a result of Hip Dysplasia. What are the options? 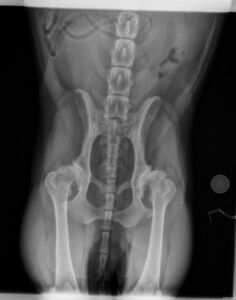 If my dog needs a Total Hip Replacement, what can I expect? 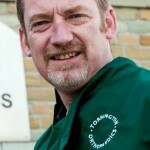 Andy qualified from Glasgow Vet School in 1988 and spent three years working in the West Midlands before joining the Royal Veterinary College, London for a three year orthopaedic training programme. Following this, Andy worked exclusively in orthopaedic referral centres in the UK before setting up Torrington Orthopaedics in 1999 . This is a dedicated orthopaedic and rehabilitation clinic based in the North West of England. Andy has lectured to veterinary audiences in the UK, Europe and USA and his main areas of interest are Total Hip Replacement, knee and elbow reconstructive surgery and spinal surgery.